What Information Do I Need to Apply for Benefits? Applying for disability benefits can be challenging, which is why it’s important to always be prepared ahead of time so that the process goes as smoothly as possible and you are able to start receiving the financial assistance you need quickly. To help give you a starting advantage, our attorneys at Esper Aiello Law Group have put together a brief rundown of all the information you need to apply for benefits, including what documents you will need to have and what kind of fees Social Security disability attorneys, like ours at Esper Aiello Law Group, might charge for representing you. Getting help – and your benefits – doesn’t have to be intimidating or overwhelming at all. All you need is a little help and advice, and we’re here to give it to you. To get a general idea of who you are on paper, Social Security Administration offices will require information about your place and date of birth, your Social Security number and related information, and your bank account and institution routing numbers for electronic deposit. They will also need identical information for your spouse, and the names and dates of birth of any minor children you may have. This information will make receiving benefits easier if or when they are awarded to you. To determine how much, if any, financial assistance you need/deserve, Social Security Administration offices will also require you to disclose your income for this and last year, the names and addresses of any employers you have/had this or last year, a copy of your Social Security statement, a list of dates (if any) for time served in the military prior to 1968, a list of up to five jobs you retained in the 15 years prior to your disability, as well as the dates you were there, and any information regarding benefits you have previously filed or plan to file for such as but not limited to, workers’ compensation, black lung, federal employees’ retirement, and longshore and harbor workers’ compensation. This information will paint a more vivid picture of your history and make assessing your claims more efficient. Lastly, the Social Security Administration offices will require you to open up about the particular condition that has you applying for benefits in the first place. You will need to have a comprehensive collection of medical information to give them including a detailed list of all medications you are taking and who prescribed them, dates and patient ID numbers for all treatments received for your condition as well as the names and contact information of the healthcare facilities where you were treated, and the dates and names of any medical testing you had done and who referred you. You will also want to include the name and contact information of anyone helping you with your application so that the offices can contact them if necessary. This information will help show your struggle and give an accurate estimate of the kind of assistance you need. The fees that attorneys charge for representing you in the appeal process are regulated by federal law. This means that the attorney fee will be the same for every attorney across the United States. The attorney will be paid only if you win and if the Social Security Administration (SSA) approves your claim. If the SSA approves your claim, it will send you a check for retroactive benefits, and a check covering the months your case was pending in the Administration. Upon your claim’s approval, the SSA withholds the smaller of 25% or $6,000.00 from your (and your family member’s, if applicable) retroactive check, and sends the money directly to your attorney as your fee. 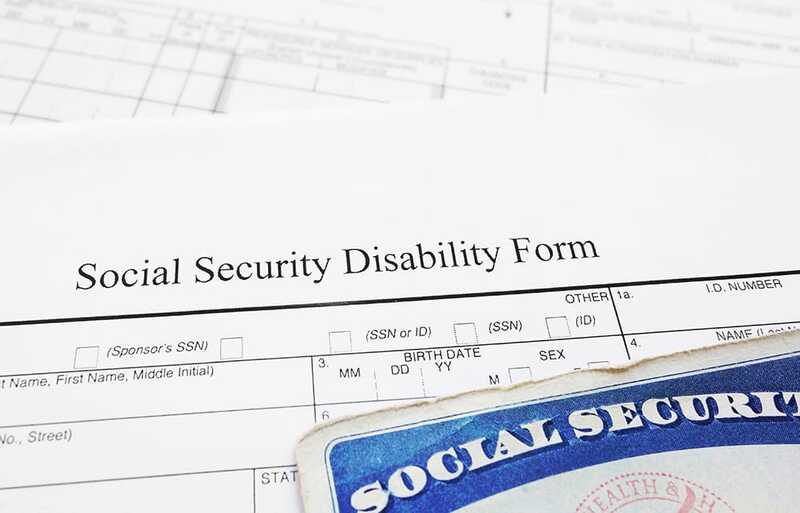 For more information about your disability claims or how one of our Social Security disability attorneys can help you receive your Social Security disability insurance (SSDI) award faster, trust the formidable legal experts at Esper Aiello Law Group today. Call us, today, at 313.964.4900 or fill out the form in the sidebar or on our contact page, and learn more about how we can help you. Mark Aiello represented my daughter in a Social Security Disability case with great success. He was very realistic with us; he under-promised and over-delivered. He and his team were extremely responsive about returning calls and emails. They were great about answering questions and they thoroughly reviewed the case with us BEFORE they offered to represent her. Mark provided very helpful advice at every step of the process and he has earned our complete trust. Mark and his staff have been a guiding light for us during recent challenges. They have been very responsive and helpful. Ready for a free, no obligation, case review? Take the first step in protecting yourself, your family and your future. New Center One building photo courtesy of NAI Farbman.